I am stealing from the genius that are Tom and Ray Magliozzi, Click and Clack, from “Car Talk” on National Public Radio. Even though they gave this puzzle out some time ago, I thought it was an appropriate opener for this post. In Yankee Stadium, there is an area beyond center field called Monument Park. In it, the New York baseball team has placed plaques and monuments honoring their legends such as Lou Gehrig, Mickey Mantle, Thurman Munson, and Babe Ruth. While Yankee players, managers, and owners are enshrined in this area, Monument Park also has plaques honoring three Cardinals. Can you name them? Play appropriate game-show “thinking” music here as you ponder your answer. The answers are Pope Paul VI, Pope John Paul II, and Pope Benedict XVI who all performed Mass in the ballpark. The trick to the riddle is that the use of the term “Cardinal” does not refer to the St. Louis baseball team, but to the fact that the Pontiff was once a member of the College of Cardinals. Yesterday, I was driving by one of our local parks here in the Lima suburban district that I call home when I noticed something different in the center of this green space. I realize I have now been in Peru for seven months and have probably started to become accustomed to seeing things and not noticing them. It’s all part of the process of becoming acclimated to a new environment. Sights and sounds that seemed so alien and different to me back in August and September are now simply part of the background noise. 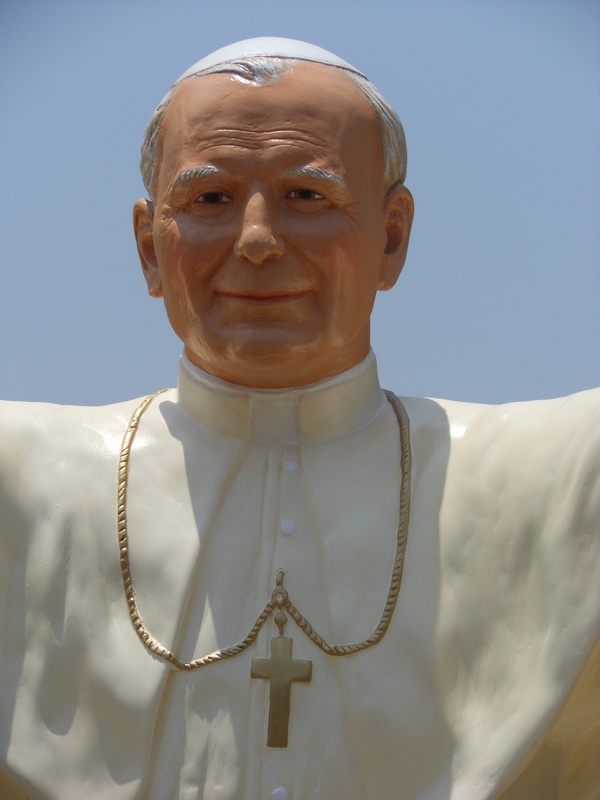 …better known to the world as Pope John Paul II. …it had been put up only three days ago. 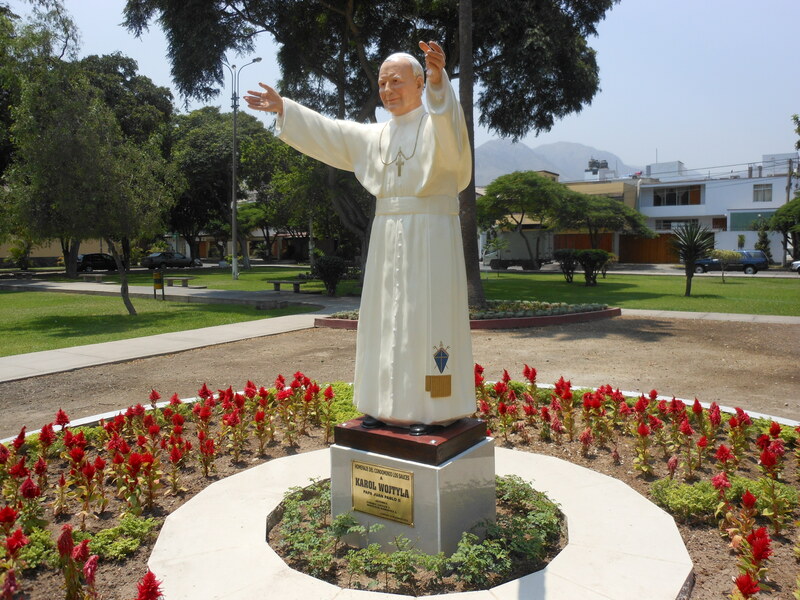 Posted on March 3, 2012, in Peru, Random and tagged La Molina, park, Peru, photography, Pope John Paul II, statue, travel. Bookmark the permalink. 5 Comments. That’s the third one I know of in Lima! 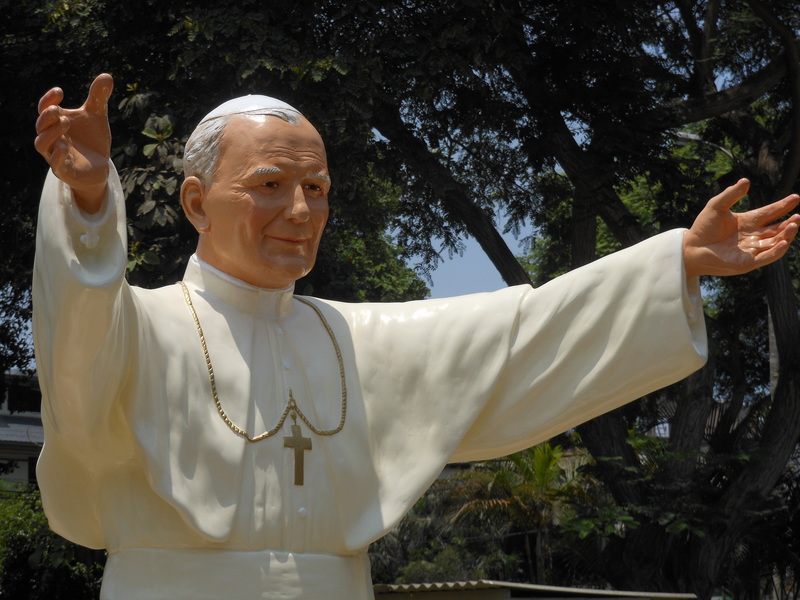 JPII seems to be extremely popular here. 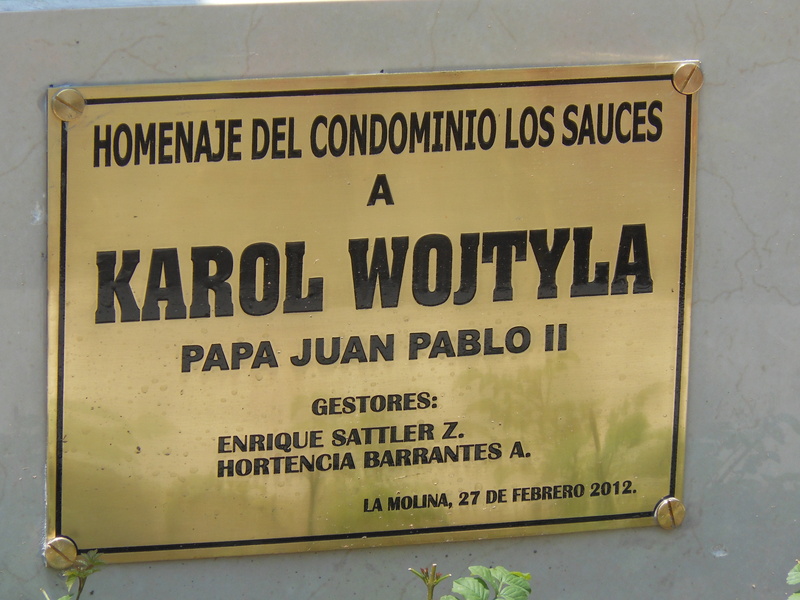 They do love their Juan Pablo II here in Lima.